R.W.Ware wrote: Joni said we'd know by next week. I'll put my chips down . . . on Wednesday. It's the week of the gala--I'm hesitant to gamble. Agreed. I’m guessing next week - I believe it was the week after the gala last year. They have enough going on. Yeah--I don't see how they could possibly have time to do it this week. But she did clearly say in her email it would be this week. I have an odd question. How do we send stories to Fantasy & Science fiction magazine? aidanka wrote: I have an odd question. How do we send stories to Fantasy & Science fiction magazine? It is a little hard to find on their website. Click on the below link and look at the bottom of the list of things. Considering the awards ceremony is Friday, I doubt we'll get results this week. With the WotF updates on Facebook, Joni seems really busy. Also, I'm amazed Dave got through the judging so quickly considering his health issues. Last year it looks like the calls went out the week after the GALA, and the notifications for all else went out the following Monday (April 16, 2018). So, relax. Have a cup of coffee or tea or whatever. Tickle your keyboards with wild imagination. Start shivering again next Thursday and Friday. Joni did say this week. Do such proclamations often not come to pass? I certainly would understand them being overly optimistic what with the gala week and Dave's condition so defin not complaining. Out of curiosity, do finalists get the call the same day the emails roll out? chuckt wrote: Joni did say this week. Do such proclamations often not come to pass? I certainly would understand them being overly optimistic what with the gala week and Dave's condition so defin not complaining. Joni has been known to be overconfident in her prognostications. The results vary quarter to quarter. Sometimes we get a big wave of rejections, then nothing, then more results. Usually the finalists get their calls right when the last set of results go out, but recently the finalists have been asked to stay quiet about their news. I doubt results will come out this week, guys. Both David Farland and Joni are here, and both seem to be quite busy with event stuff. Probably next week. Either way, I'm hoping you all get great news and are Finalists! I know it is too early to be hitting the refresh button on my email, looking for the results. JVAshley wrote: I know it is too early to be hitting the refresh button on my email, looking for the results. I think it is good to be mentally prepared. Sometimes results come earlier than you expect, and an R-Grenade in your email is a nasty shock if you're not ready. That's why I always check the forum before checking my emails in the morning. chuckt wrote: I'll put my chips down . . . on Wednesday. Well, I lost those chips. Good thing they weren't real. Glad I'm not the only one who's been checking his e-mail all week. Managed to get an honorable mention for the first time during last year's Q4. Hoping to do better in Q1 and Q2 this year! So... NOW it's time to start twitching. KD Julicher wrote: So... NOW it's time to start twitching. 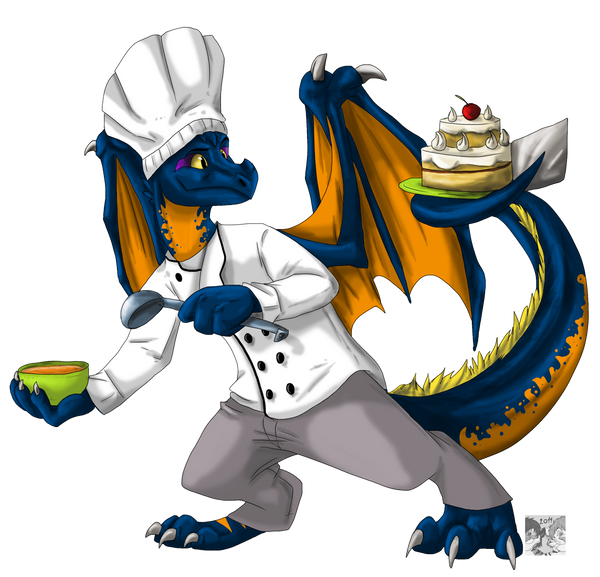 Dragonchef wrote: Last year it looks like the calls went out the week after the GALA, and the notifications for all else went out the following Monday (April 16, 2018). Wise words. Best of success guys. Try not to focus on the quarterly results, but on writing the next story. Channel the energy into something useful. It's still a harrowing process once you become aware of it. I went the whole three months without really thinking much about it and then just off-hand the other day I decided to come here and take a look. It's exactly like the time I tried to forget my birthday in Iraq. I wanted to go just one year without realizing it had already happened (I'm weird like that), and it was easy there because you don't use actual dates. You use encoded dates. Problem was, flights in and out don't use that system, they use actual dates. So I got within a day of my birthday. Went to check on our flight out of there and discovered the flight was on my birthday. Ruined! Anyway. I think I'd rather get the email/call when I'm not expecting it. Surprise! ddonche wrote: It's still a harrowing process once you become aware of it. I went the whole three months without really thinking much about it and then just off-hand the other day I decided to come here and take a look. I'll bring the brownies. Give me just a minute. I'm on my way. And i'll bring a classic movie to watch while we twitch and stuff our gobs in anxiety. Any suggestions? SCAFontaine wrote: And i'll bring a classic movie to watch while we twitch and stuff our gobs in anxiety. Any suggestions? RSchibler wrote: This looks like the beginning of a beautiful friendship. I figured wouldn't be yesterday. Maybe not this week either? They have to be still unwinding from last week. I believe the first R reported last year was April 16. So starting Thursday we will be checking emails and filling the moments with mental distractions.